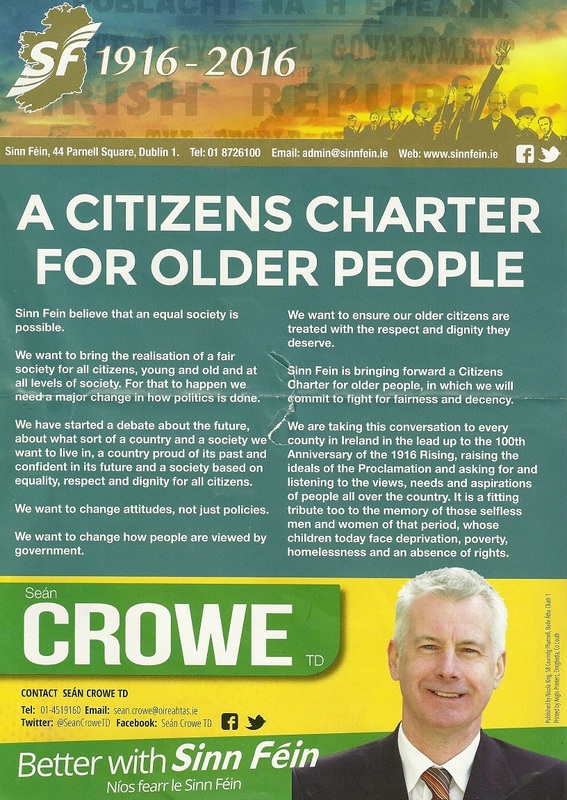 A leaflet “A Citizens Charter For Older People” from Sean Crowe of Sinn Fein who is running in Dublin South West alongside Sarah Holland. 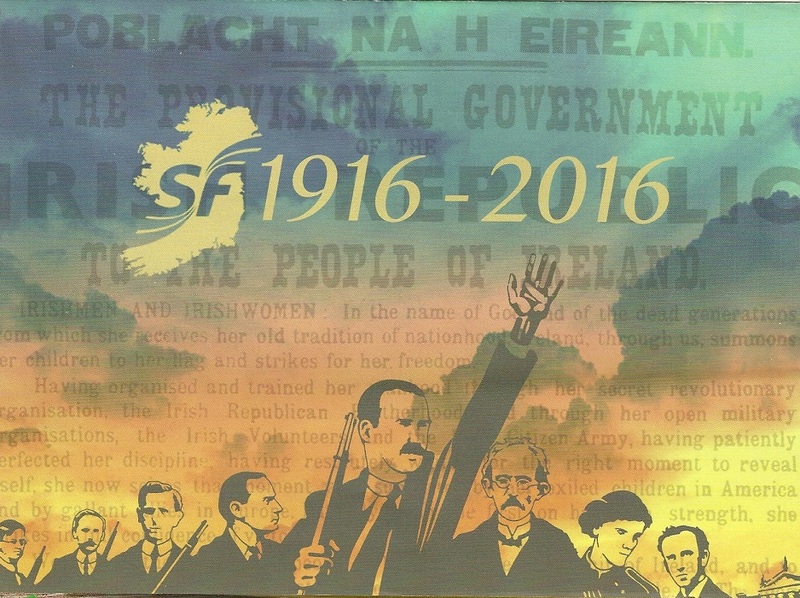 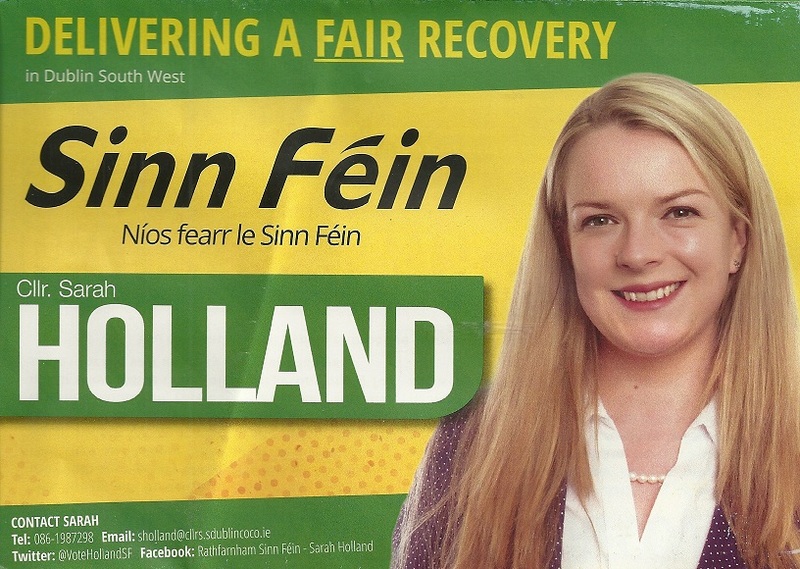 A leaflet from Cllr Sarah Holland who is running for Sinn Fein, alongside Sean Crowe , in Dublin South West. 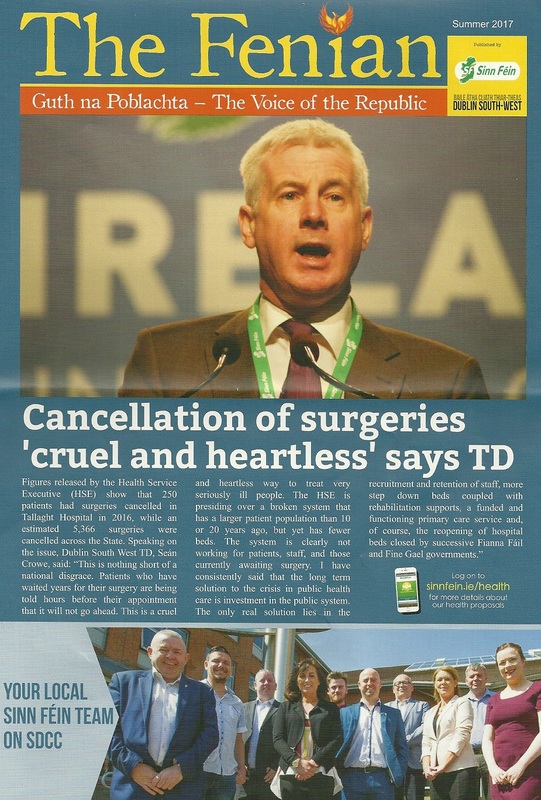 A leaflet from Sinn Fein Dublin South West Councillor Sarah Holland asking for a Yes vote in the Marriage Equality Referendum and also a Yes vote in the Presidential Age Referendum. 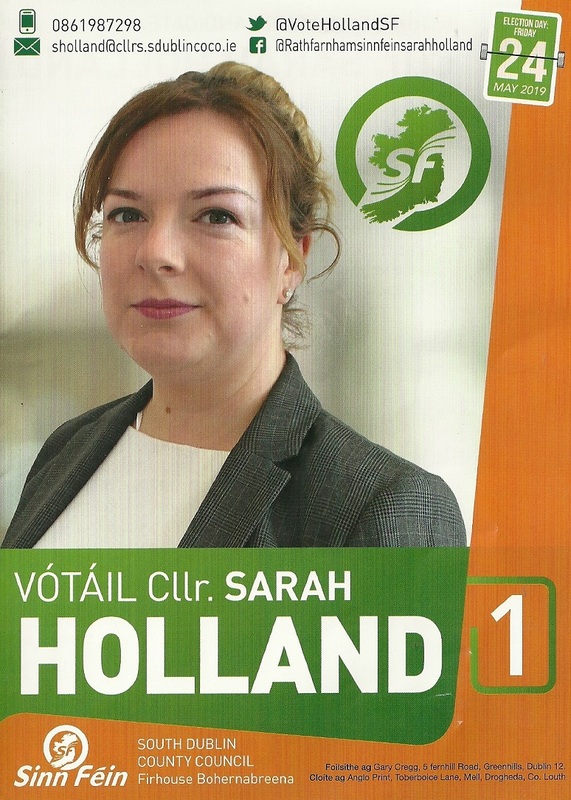 A Canvass Card from Sarah Holland of Sinn Fein who is running in Rathfarnham for a seat on South Dublin County Council.